Who would have thought a book about little people and mice would become a sensational hit? If you have not seen or heard about this book, then you have probably been under a rock all your life. This book can be read in under an hour as it has only 32 pages. However, the information distilled in it is not nearly underweight. Who Moved My Cheese is a book about the concept of change. It talks about how certain people react to change reactively, and others, proactively. While the entire piece was written metaphorically and as something off a children’s library would be written, the message of the book was sharp! Hem, Haw, Sniff, and Scurry. Sniff and Scurry are mice who have very basic needs, while Hem and Haw are little people who have much more complex needs. While the focus of the mice is in finding food to get by, that of the little people go from security, to housing, to feeding, to love, and so much more. These four characters all live in a maze and have a steady supply of cheese – Cheese station C.
Everything seems fine for all, until all the cheese at the cheese station finishes. They literally woke up one morning, and all the cheese was gone. For the mice, change was easy. Sniff sniffed along for cheese and Scurry scurried off in search for new cheese. However, the little people spent more time thinking than actually going ahead to find cheese. To hem and haw means to be indecisive; this is exactly what Hem and Haw did. However, after much ado, Haw realised that cheese wasn’t going to come anymore unless he proactively went after it. So he did, while Hem chose to remain cheese-less. Again, it is important to remind us that cheese to humans refers to everything we so badly desire and our reaction to a change from our comfort zone is what makes us succeed or stunt our progress in life. How bad do you want a bigger house? How bad do you want more money? What are you doing to get them? The lessons Haw picked up along his journey round the maze in search of cheese was what made up the life lessons that the book offered. 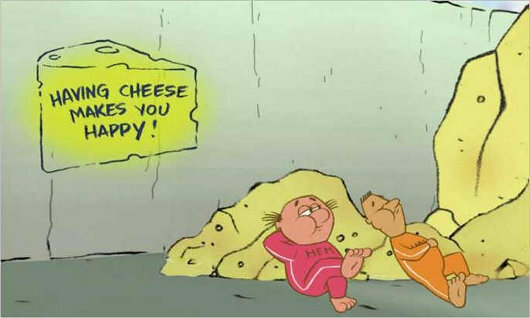 He learnt that having cheese made you happy, cheese would always move, old beliefs do not lead you to new cheese, and so much more. Interpretations of the ‘cheesy’ lessons of the book were also given; change happens so you need to adapt to change quickly and enjoy the beauty that comes with it. 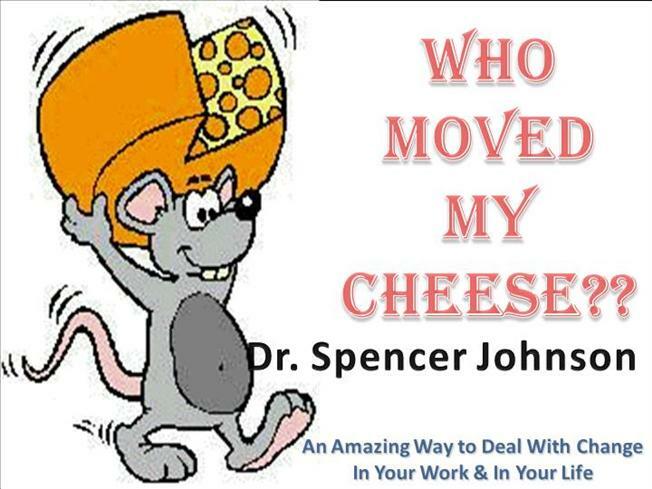 Who moved my Cheese is a must-read for all and I’m rating this one 3.9 out of 5. Kindly subscribe to the website to stay informed and also share your thoughts in the comment section and let’s keep the conversation going. Premier Pan-African media group on African affairs, Face2Face Africa, as well as Arianna Huffington's Thrive Global. biographies and non-fiction books she currently ghost writes and edits. Book review has never been so interesting and fun to read. I love it. Thank you! Love that you love it. Thanks a lot. Learning should totally be fun! Quite educative n inspiring. Keep it up .God will prosper this in the the name of Jesus. Amen! Glad you enjoyed it. Omg!!! This book is the best! My Father made me read this book when we were going through a lot of changes in our family and it really changed my perspective! I believe someday I will be gifting my own child with the same book! Change would always be constant, so you should. It is a wonderful book indeed. Short, sharp, spot on! Great job, well done!